Chris Bensinger graduated from Bowdoin College with a BA in Psychology and a minor in theater. He studied Theater at the Eugene O’neill National Theater Institutes as an actor and 25 later as a producer. 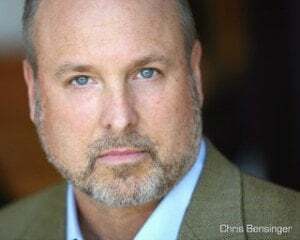 He has performed on and off Broadway, tv and commercials . Chris is a Tony Award winning producer and has been part of the team on Broadway’s multi award winning musicals The Book of Mormon, La Cage Aux Faux, starring Kelsey Grammer, A little Night Music, staring Catharine Zeta Jones, Merchant of Venice staring Al Pacino, American Idiot, Chinglish, Nice Work If You Can Get It, staring Mathew Broderick and the London production of Bakersfield Mist staring Kathleen Turner. He recently opened DREAMGIRLS in London starring Amber Riley. Chris teaches actors, as if on a discovery mission, to search for meaning by carefully examining the lyric and how the actor relates to it and then drive that understanding into the portal of their soul igniting empathy. Our goal is to find the hidden treasures inside the text that transcends into feeling and then convey it through song.